We are using a new session based registration site for our clinics this season called Mind Body. The reason we are using this registration system is because it will help us service our players better by understanding which players will be at which sessions. From a customer expereince, Mind Body is extremely easy to use and is used by many large yoga studios and gyms, so they have an amazing track record of success. 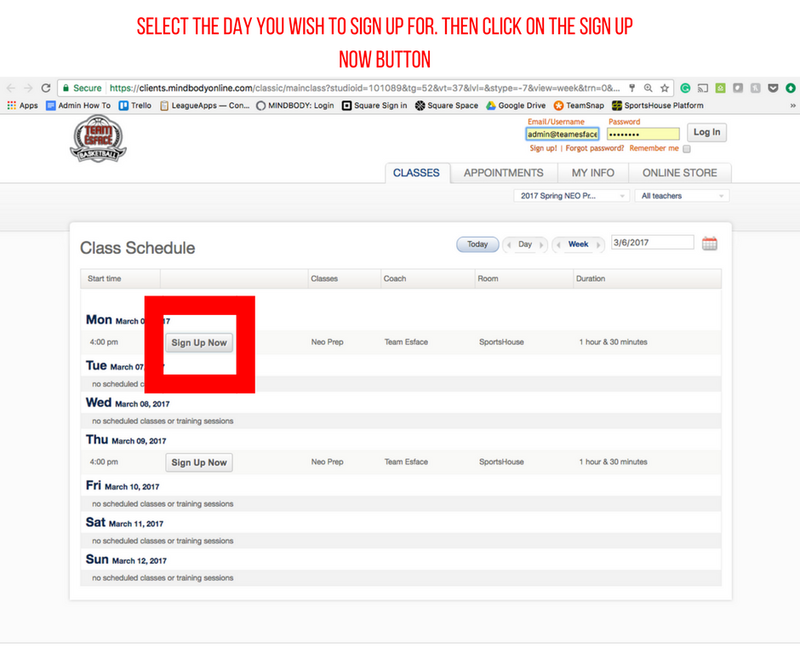 Mind Body is a credit based system that allows you to purchase "credits" (or sessions) individually, then use them to schedule the classes you'd like to attend. That being said, we want everyone to feel comfortable using the registration system so we created a Step by Step outline on HOW TO REGISTER USING MINDBODY. If you have further questions feel free to call us at 650-644-5582 or email us at admin@teamesface.com.